Did you know there are castles in Ukraine? Lviv is located in Western Ukraine, a region of the country that was part of Poland for many years. Because of that, there are plenty of castles near Lviv dating back hundreds of years! 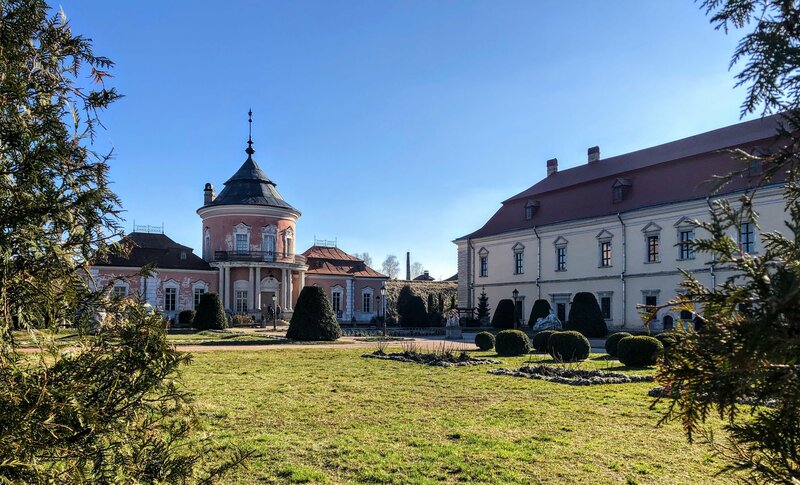 The most popular castles are located in the Golden Horseshoe Region of Lviv, a group of five castles on a 209 km round-trip route from the city. (Click here to see it on a map). If you want to see three of the five castles in the Golden Horseshoe, this guide has you covered. 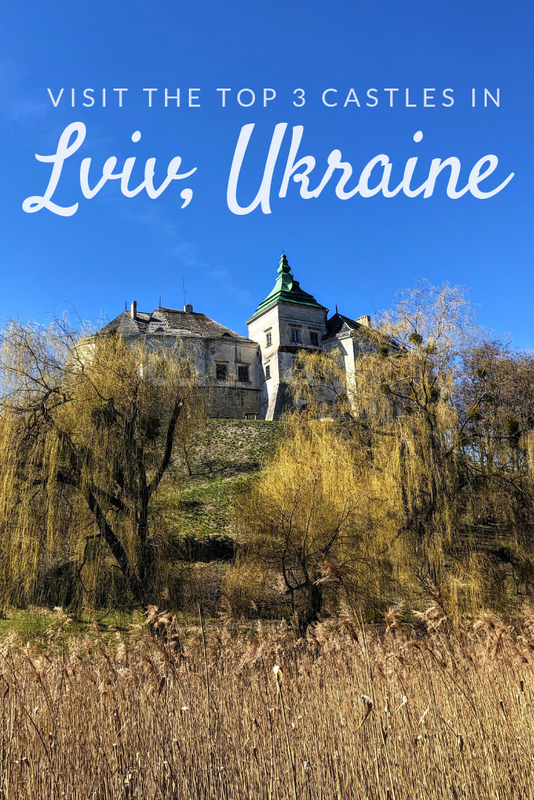 Keep reading for a budget estimate, itinerary, and everything else you need to know to visit the castles near Lviv! The easiest way to visit the castles near Lviv is with the Lviv Castle Tour. Once I learned about the Golden Horseshoe I knew I needed to see it, but I also knew I didn’t want to rent a car. So, I went to the Tourist Information Center in Rynok Square to ask about public transport, and they gave me an even better option – this tour! Now that I visited the castles I’m so glad we didn’t attempt to see them on a bus or train – they were honestly in the middle of nowhere and I really don’t think it’s possible to see them without a tour or a rental car. You can buy your ticket for the Lviv Castles Tour directly in the Tourist Information Center (cards only) or you can walk across Rynok Square to the tour agency itself (located through the Andreolli Passage at 28 Rynok Square) and buy your ticket there (cash only). Pick-up is at 9 am every day at Halytskyi Square near the city center. 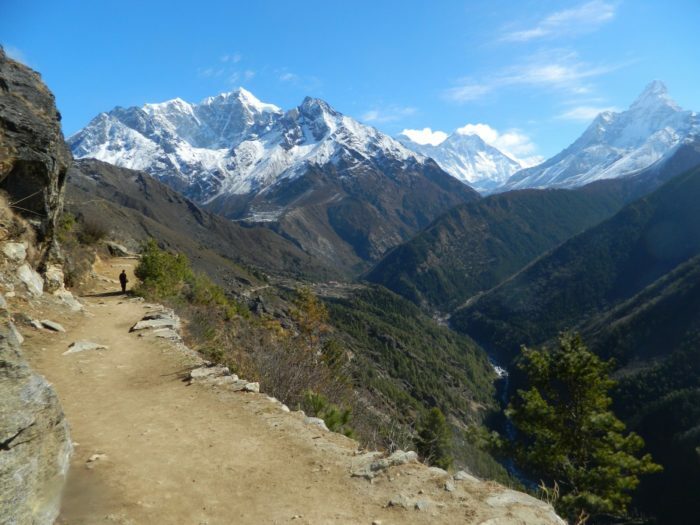 In the low season, it’s best to book your tour least one day in advance – in the high season try to do it a few days in advance to secure your spot. 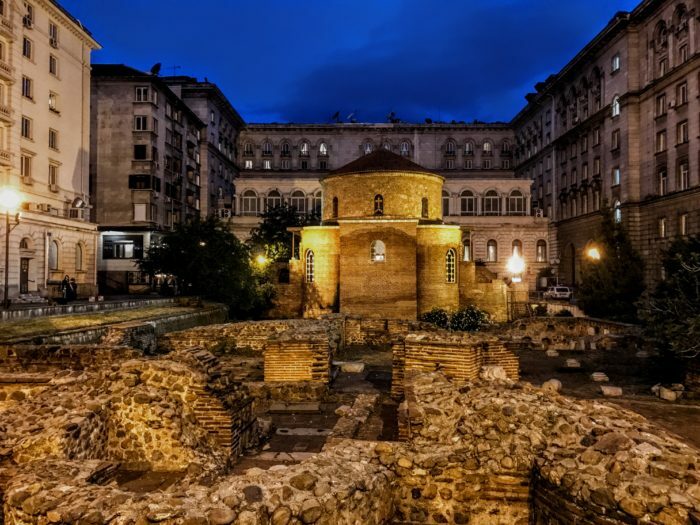 How Much does the Lviv Castle Tour Cost? I’m not a huge fan of tours, but sometimes they’re simply the best form of transportation to get you where you want to go. The Lviv Castles Tour cost 350 uah / 13 usd and that includes… pretty much just the transportation. 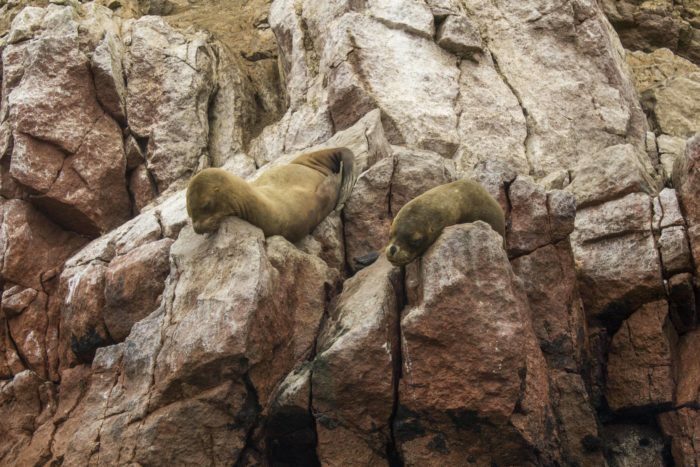 On top of that, you’ll also need to pay an additional 120 uah / 4.50 usd per person for the three castle entrance fees. The tour is not in English (you’ll have to specifically request and pay extra for an English-speaking guide from the agency) and there is really nothing written in English at the three castles. The agency will kindly give you a three-page paper with a short history of each and, honestly, it really covers all you need to know. There are snack and coffee stands at each castle where you can grab small stuff throughout the day and the third castle has a restaurant where we ate a late lunch around 3 pm. Dan and I got two bowls of the borscht soup and split a plate of meat dumplings and the total cost for lunch as 150 uah / 5.50 usd. 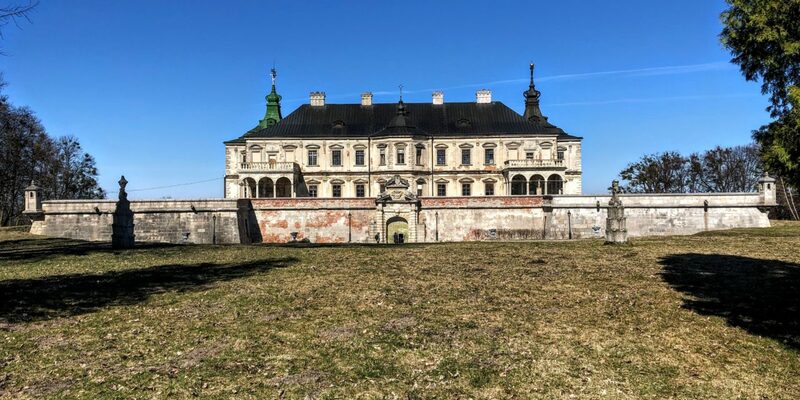 So, in total for the tour, the entrance fees, and lunch, we paid 545 uah / 20 usd each to visit three castles near Lviv on the eight-hour tour – honestly, I thought that was a pretty good deal. Which Castles Will You See? On this tour, we visited three of the five castles that make up the Golden Horseshoe Region of Lviv. Unless you’re big into history, I’m pretty confident these three will be enough, I really felt no need to see the last two as well. The Olesko Castle was built in the early 1300s, making it one of the oldest castles in Ukraine. At one point it was even owned by the king of Poland! 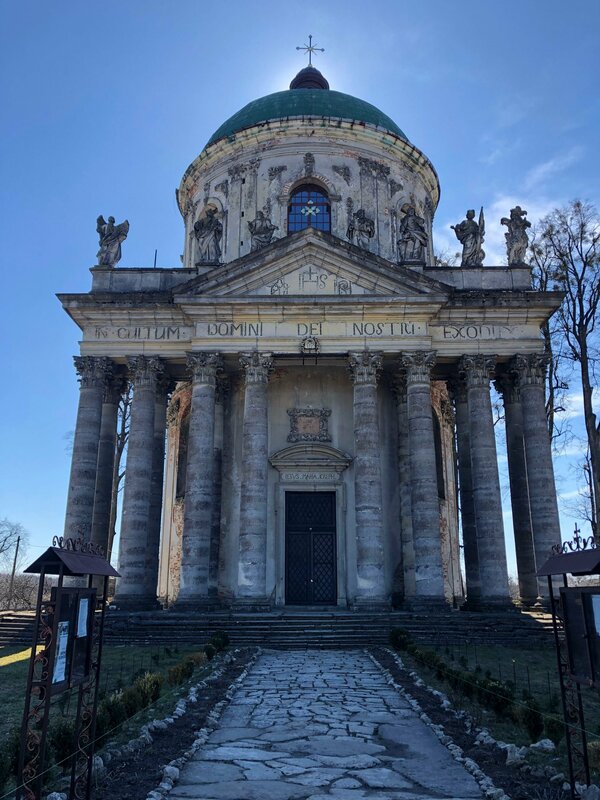 It’s about an hour drive from Lviv and has a small museum inside, a few ornate rooms you can walk through, and some interesting art and statues – the tour guide explained them all in Ukrainian so that’s about all I can tell you. 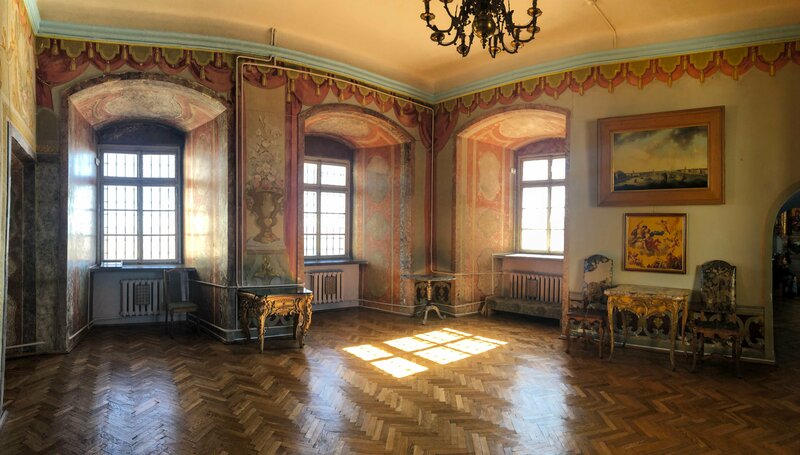 My favorite part about the Olesko Castle was the absolutely giant floor to ceiling painting (you’ll know it when you see it) and our 30-minute break after the tour to walk around the gardens and the grounds to snap a few pictures. This was my favorite of the three castles because it’s pretty much abandoned. The Pidgirtisi Castle was built in the 17th century and like many others in the area suffered a dreary fate, falling into disrepair and eventually becoming a sanatorium for tuberculosis patients. The interior has been closed for restoration for more than 20 years so you won’t see much inside except one room with a few old photos. The highlight is the exterior – especially the back, which hasn’t yet been restored and makes for some spectacular photos. It’s set on a hill with sprawling views of the Ukrainian countryside, which only adds to the eerie charm. The third Ukrainian castle on the tour is Zolochiv Castle. It’s more of a manor house than a castle, to be honest, and was built in 1634. It eventually became a prison and there’s a memorial inside today commemorating many of the prisoners that were killed inside it. 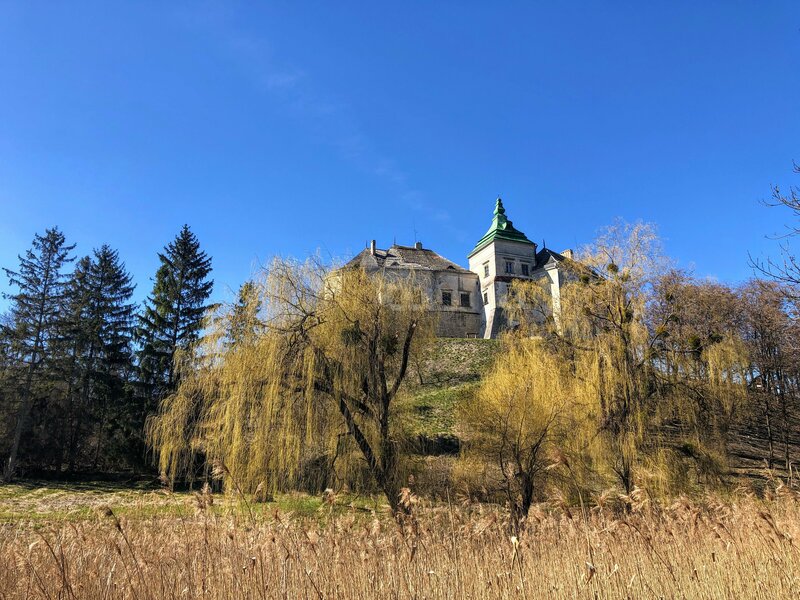 The highlights of the Zolochiv Castle are the chandelier made from a mammoth bone found on the grounds of the castle and the massive artillery walls that you can walk along all the way around it. The pink “Chinese Palace” is very picturesque as well. How Long is the Lviv Castle Tour? All of the castles are pretty close to Lviv. We left at 9 am on the dot and arrived at Olesko Castle around 10:15 am. Each successive castle was only a short 20 to 30-minute drive away and then we finished the last castle tour at 3 pm. We ate at the restaurant until four and arrived back in Lviv around 5 pm. If you’ve seen a lot of castles in your life, the castles near Lviv probably won’t impress. But if you have some extra time on your hands and want to get out of the city for a bit to see another side of Ukraine, it’s a pleasant, low-key day trip that I really enjoyed. If you do decide to go, keep these extra tips in mind. Go on a nice day because walking around outside the castles was the best part of each one. 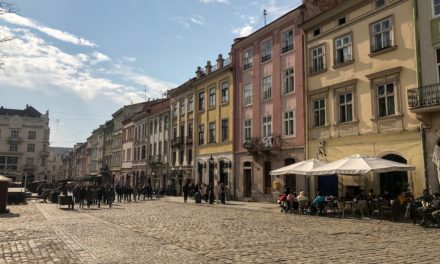 Request an English guide when you book (and expect to pay extra for it) or you’ll be clueless for the entire eight-hour tour (luckily, a kind Ukrainian woman took us under her wing and translated some of the most important information for us!). Be vigilant during pick up at the Halytskyi Square – we were a bit confused because the bus ended up parking a bit up the street in front of the Secret Pharmacy / Selfie Coffee storefronts. It wasn’t labeled with any English signs, so don’t be too shy to ask if it’s the right one or you might miss it! 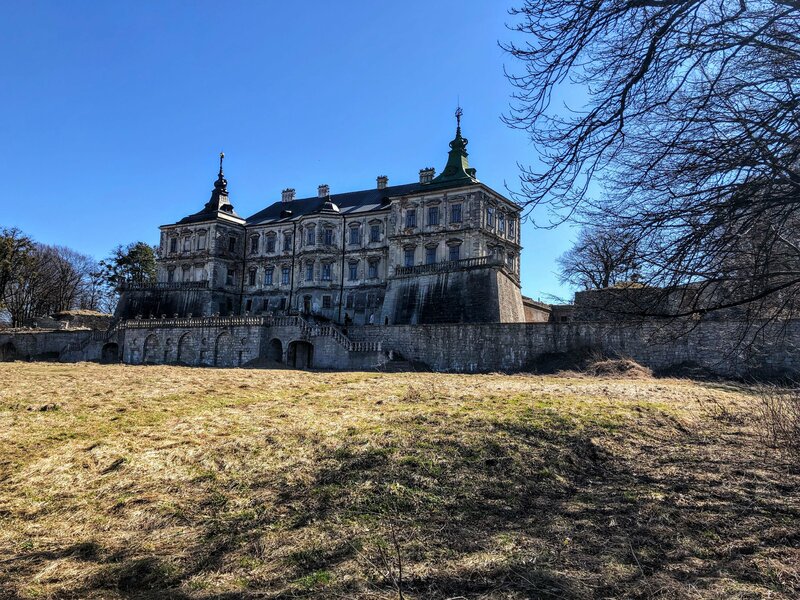 Are you ready to visit the top three castles near Lviv? Use this guide to book a day trip and enjoy your excursion into the Ukrainian countryside! PreviousThailand vs. Malaysia: Which Should You Visit?